I was in a very large warehouse. It was completely empty. Two young men came in. Both acted like jack-the-lad Essex boys. Both were a bit twitchy, but smiling, yet I knew there was something dangerous about them. They were talking to each other and to me. They were being amiable but in a dangerous way. The warehouse was so big its floor stretched almost to infinity. It had a horizon and the floor and ceiling and walls were a light brown, sandy colour. From the horizon, a figure started running towards me. It was a miniature Red Indian – sorry, Native American – perhaps only two feet high but his head-dress and his head were out-of-scale and were too big for his body like in a Warner Brothers cartoon. He was in sepia and, as he ran, light tan dust clouds were created behind him. 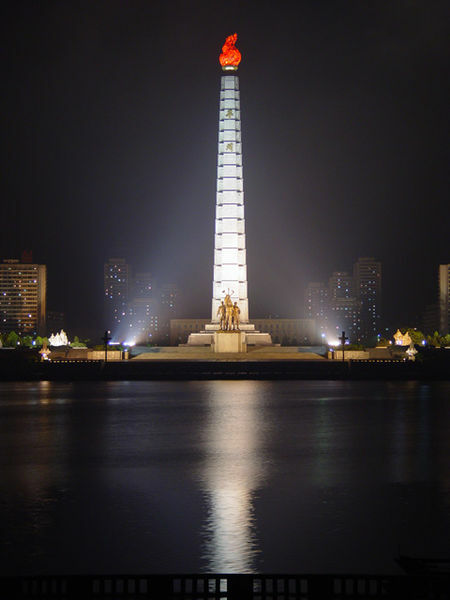 As he approached me at immense speed, I motioned to my left and he swerved and leapt upwards onto one of the two youths. As they fought, the Red Indian – sorry, Native American – turned into rapidly-changing abstract coloured shapes and he lost his fight with the Essex boy. Then we were outside the warehouse in an open shopping car park, but there were no cars. The Red Indian – sorry, Native American – still in the form of rapidly-changing abstract coloured shapes – was ricocheting around in random movements as if he had been radio controlled and the controller had gone haywire. I do not know what happened then. The dream just fizzled out. Or perhaps I woke up. Sometimes with dreams it is difficult to know if you have woken up or not. I had been going to write a totally different blog this morning, but it fell through last night. Famous people are strange. We dip in and out of their lives, missing big chunks including, sometimes, their deaths. 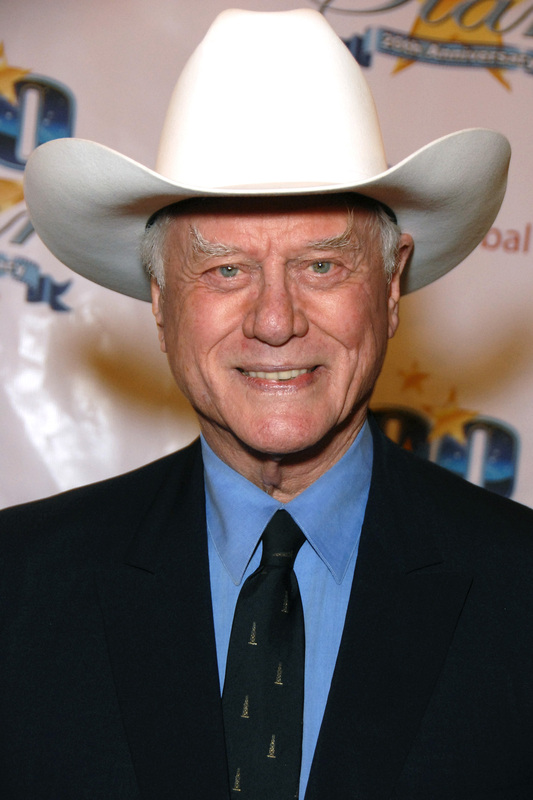 When the new series of Dallas started on channel Five a few weeks ago, my eternally-un-named friend and I were both amazed that it co-starred actor Larry Hagman, because we both thought we distinctly remembered him dying a few years ago. Then, yesterday morning, came the news that he really had died the day before. Last night, my eternally-un-named friend and I went to the Cinema Museum in South London to see an interview with film director Michael Winner which, unknown to us, had been cancelled a fortnight ago because of his ill-health. Apparently, last month, he revealed he had been told he only has 18 months to live. I had missed those reports. Apparently he is going to sell his large house in Kensington and move into a flat. As I mentioned in a blog last December, I sat in the garage of Michael Winner’s large house in Kensington a few years ago. He was being interviewed for a documentary and, not unreasonably, did not allow the film crew into his house. If he was to be interviewed at home, it had to be in his garage. It could have been in his garden, but the weather was variable. When he was making movies, he had a fearsome film industry reputation for being polite to the stars of his movies but treating underlings with a lot less deference. I had seen an interview with Michael Winner a few years before our garage interview in which he claimed that, when he went to parties on his own, he was sometimes almost too shy to go into a room full of strangers. On the day of the garage filming, he provided value for money. His answers were vivid and filled with excellent sound bites. A real pro. But he was very prickly. My cheap psychology would say he was defensively sarcastic; he put up a surprisingly defensive wall for someone so successful. 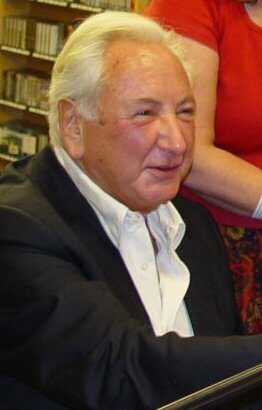 I had somehow missed the fact Michael Winner had eaten an oyster in Barbados in 2007 and, as a result, had caught the bacterial infection Vibrio vulnificus, which kills 95 per cent of its victims within 48 hours, that he had to have 19 operations over 10 weeks and been on the brink of death five times. He also caught the superbug MRSA and had to have part of his leg cut away. I had also missed the fact that, last year, he married the woman he had dated briefly when she was a 16-year-old wannabe actress and he was a 21-year-old aspiring film-maker. They had met again in 2005. It sounded very romantic and very touching. We dip in and out of other people’s lives, glimpsing only random snapshots. “Compared to being brought up on RAF camps?” I said.